I just got back from a trip to California for a family wedding. So I had plenty of time to think about legal tips for flying, such as airline regulations. One of the number one questions travelers have is: What are the airline regulations for carry on baggage? First, my method for seamless travel is to check my luggage. You can take virtually any reasonable items in your checked baggage, and it makes the security checkpoint much quicker. I’m a fan of bypassing airline regulations whenever possible. Checking your baggage is the way to go. Before we dig into the specific rules, note that these are really TSA regulations, not promulgated by the airlines. The Transportation Safety Administration (TSA) is the government department that regulates and protects airline safety. The first post-9/11 regulation that you should know by now is about liquids, gels, and aerosols. You’re allowed to carry these onto the plane, as long as they are in 3 ounce containers and they all fit in one one-quart plastic bag. Note that you get only one plastic bag. All your carry on liquids, gels, and aerosols must fit inside their 3 ounce containers, inside the bag. When you get to the security checkpoint, you have to remove the plastic bag from your luggage. It has to separately go through the x-ray scanner. Fortunately, that’s the most difficult airline regulation to grasp. And once you think about it a bit, it’s not that complicated. Just use small bottles and put them in a one-quart baggie. These regulations make perfect sense. You can’t take weapons on board an airplane. No guns, knives, or explosives. You can carry on safety razors, nail clippers, and even metal scissors, as long as the scissor-blades are less than 4 inches long. And be sure to put any club-like items in your checked baggage. I saw a fellow trying to bring a plastic sword through the checkpoint, and the TSA agents didn’t appreciate that much. You can bring a walking stick through, but no bats, golf clubs, etc. I like the TSA’s motto: if in doubt, leave it out. That really is your best rule of thumb for packing, especially your carry on baggage. If you want to speed through the security checkpoint, leave out anything that is questionable. Hopefully this simple post has helped acquaint you with some of the airline regulations for carry ons. May you have safe and enjoyable travels! 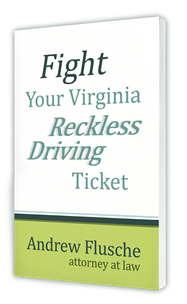 Motion to Strike in Virginia – Toss the Case!